Ingredients: Black tea, cocoa husks, almond pieces, blackberry leaves, natural flavoring. Mug (8oz water): 1 level tsp • 212º • Steep for 4 min. Teapot (8oz water): 1.5 level tsp • 212º • Steep for 3 min. Teapot+Milk (8oz water): 1.5 level tsp • 212º • Steep for 4 min. Add milk. My favorite thing about Field to Cup is the great job they do in flavors being true to description. Unfortunately I’ve learned I don’t like cocoa husks & nut flavors in my tea. 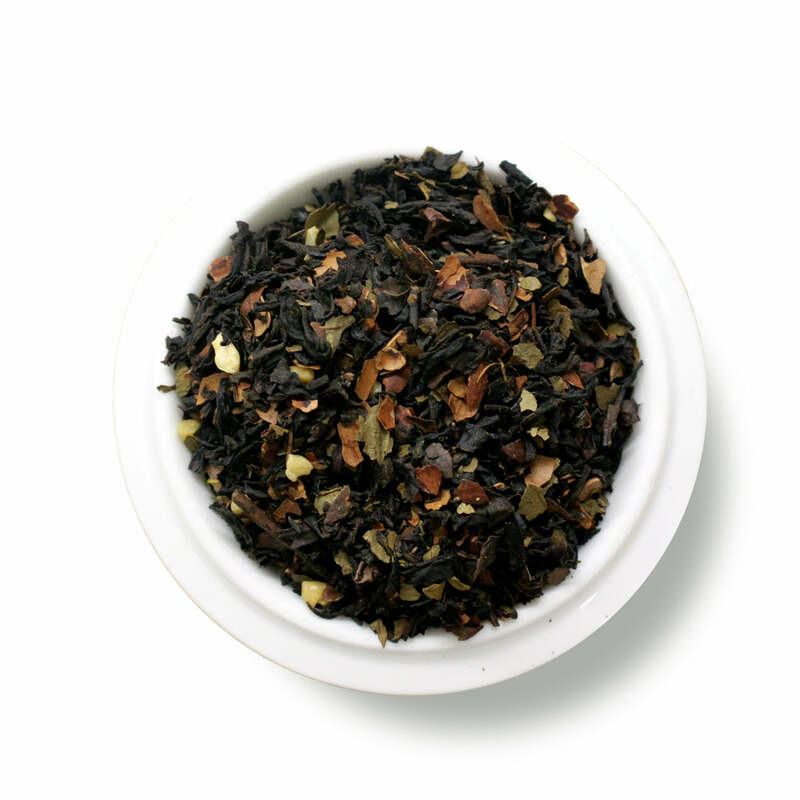 This tea has a nutty, sweet taste that is not too overpowering but is a pleasant enhancement. It is a great breakfast or anytime pick-me-up tea that doesn't need much sugar. I wasn't sure at first when I smelled it, I was worried the almond would be too cloying but I was nicely surprised at how much I enjoyed this cuppa! I really enjoyed this tea. It has a very good, full bodied taste that is somewhat sweet. I added a bit of raw sugar and a splash of cream.